Continuation of Level 1. Level 2 expands on grammar theory learned with more extensive teaching of Level 1 verbs in present tense as well as masculine, feminine, and neuter nouns. The three adjective genders are broken down and taught in simplest form for young students to learn. 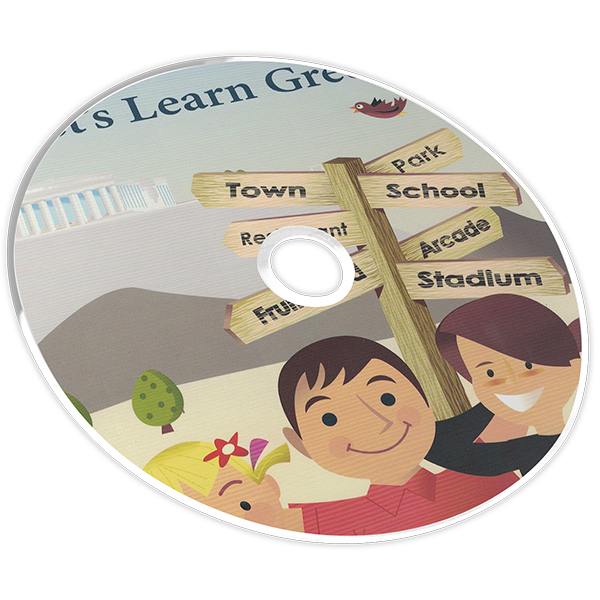 The Level 2 Package is for students ages seven to adult. 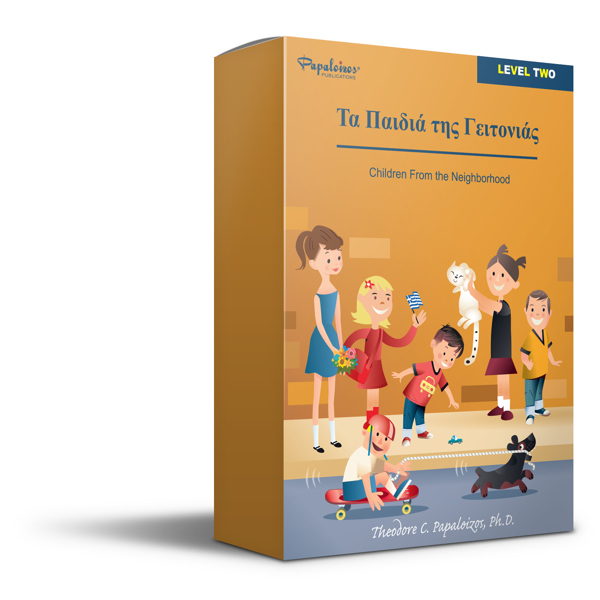 The readings introduce new words and grammar through stories about children and their everyday life. 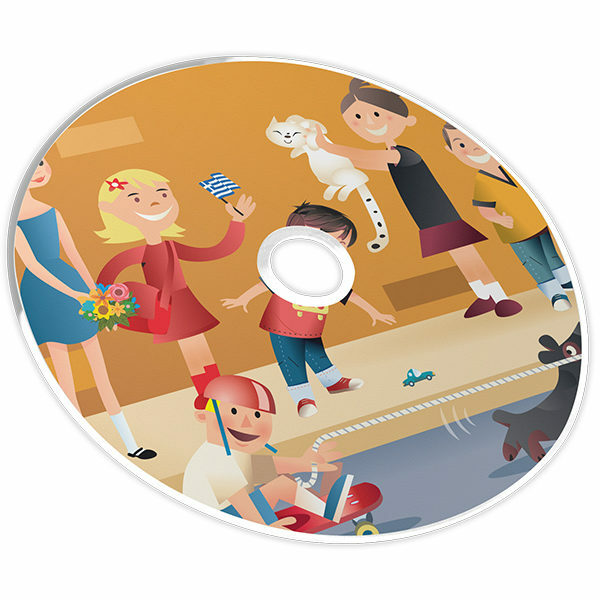 The Student’s Book is supported with Activity Book and Audio Program, which teaches proper pronunciation. 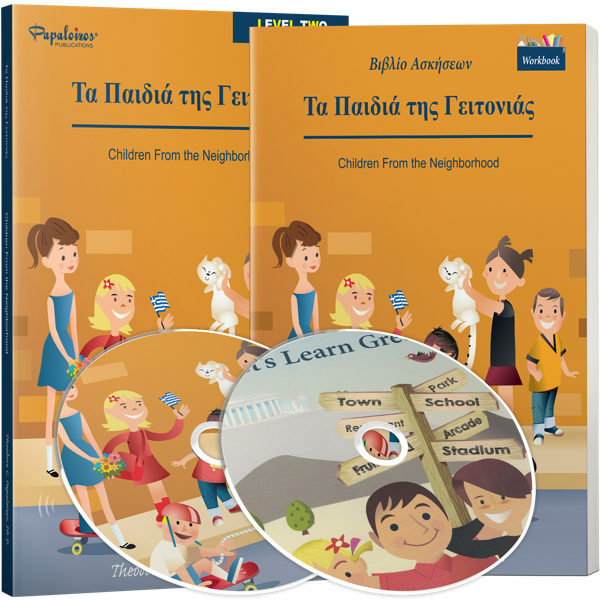 Included is the CD-ROM 2 “Let’s Learn Greek” which contains eleven bilingual units designed to teach hundreds of new words through student interaction.